Are you eager to change the world of online work with us? If you want to profit from numerous benefits and working in a start-up atmosphere excites you, twago is the right place for you! As part of an experienced and international development team (currently 9 people) you play an essential role in the process of delivering meaningful products and features to our marketplace as well as to our white-label talentpool solution and move your team forward. Developing the backends of our two Java-based web application based products will be your field of expertise. ● Excellent programming skills in Java, the following terms ring a bell: class loader, cafebabe, serialization, happens-before, eventually consistent, covariant, polymorphism, closures/lambdas. twago is a successful, internationally active IT-Start-Up and part of Randstad, one of the global leaders in the HR services industry. We are changing the world of teamwork by connecting freelancers and business clients from all over the world in order to successfully manage various projects. We run Europe’s largest online platform for freelance work and just recently launched our first white-label talent pool solution for big corporations. We provide excellent working conditions in an international, motivated and homely working atmosphere. 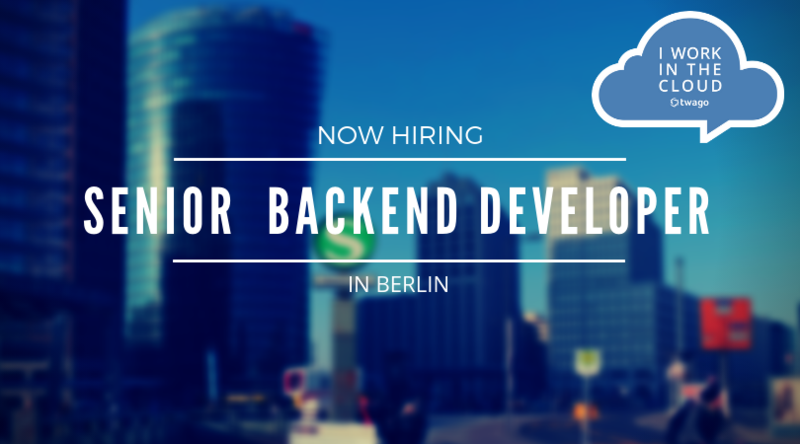 Please send your application as “Backend Developer” with your availability and salary expectations addressed to Jasmina Trajanovska. If you prefer to send your data via email, feel free to do so: join-our-team@twago.com.